Being a prolific artist and being a surprising, ever-original artist – despite much evidence to the contrary – need not be mutually exclusive. 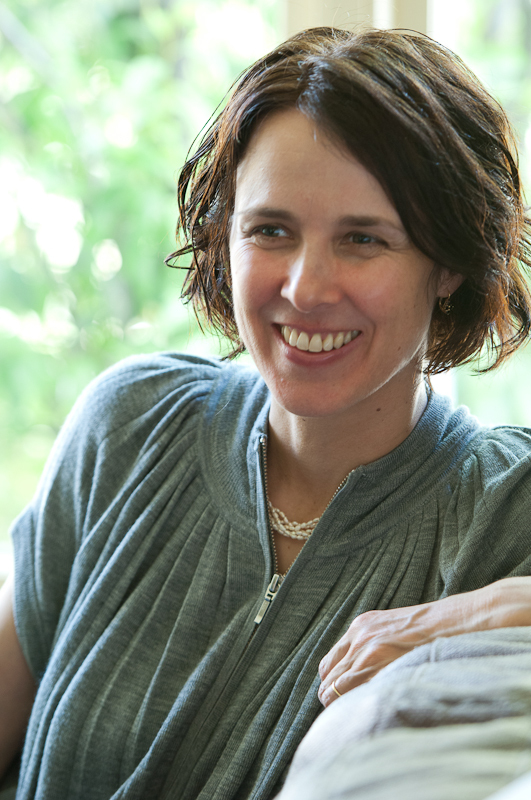 Pianist/composer Andrea Keller continues to surprise, as well as being one of our most consistently prolific music makers. Her latest project is the ensemble Five° Below and their debut is the six-track teaser Five° Below Live. I say ‘teaser’ as this is a preview of a larger work slated for 2019 which will include saxophonists Julien Wilson and Scott MacChonnachie. ‘Teaser’ it may be, but it stands firm and strong as a work in its own right. For this Live album, Keller has intriguingly limited it to rhythm section instruments, with startling results. The two bass players – Sam Anning on acoustic and Mick Meagher on electric – plus drummer James McLean and guitarist Steve Magnusson, plus Keller herself on piano reimagine a collection of her previous works across a range of styles. ‘Fern Tree’ from 2013’s Family Portraits grows from a textural piano pattern with Keller’s solo morphing from Charles Ives to some real rock’n’roll, before the double heartbeat of the two basses rolls out the joyous dance of Magnusson’s guitar. ‘Of Winter, Ice and Snow’ moves glacially, with guitar swells and sharp shards of piano making this, magically, seem more weather than music. Such is its enveloping and mesmerising atmosphere. The mood across Live is largely pensive and dynamically introverted, so the track ‘Grand Forfeit’ leaps out like an animal. Beginning with ominously grinding guitar and electric bass feedback it suddenly surprises with a jagged asymmetrical riff over which Maganusson howls and gnashes. His guitar solo is red in tooth and claw, reminiscent of King Crimson‘s Robert Fripp at his most brutal. ‘Warm Voices’, originally from 2013’s From Ether, lulls with double bass chords and percussion moving and out like the sea; the piano is ebbing waves and the guitar is distant clouds on the horizon – the picture the ensemble builds is exquisitely balanced and blissfully hypnotic. 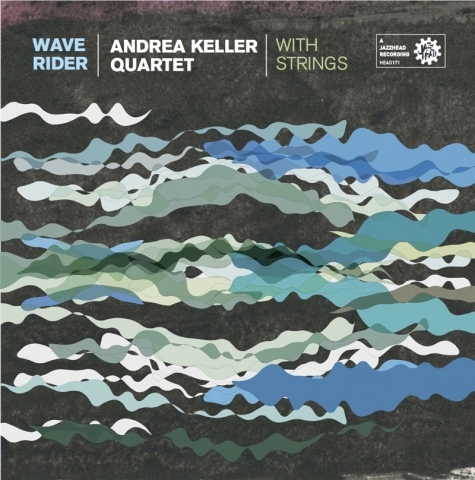 Andrea Keller stretches jazz into whatever she wants here – as a composer, musician and visionary, she always has. Using many of the most noble aspects of modern jazz – its curiosity, freedom and genre-inclusive nature – Keller enriches and expands the form. It is always a thrill to see where she goes next. Bassist/composer Sam Anning brings his wonderfully poetic cast of mind to his third album as bandleader, Across a Field as Vast as One. Recorded with long time collaborators trumpeter Mat Jodrell, saxophonists Julien Wilson and Carl Mackey, pianist Andrea Keller, and drummer Danny Fischer, the eight-track collection draws inspiration and ideas from lost friends, Balkan women singers, volcanic lakes, taxi conversations and aircraft wreckage gleaming in a field of sunflowers. Of course, this is not being wilfully quirky, because Anning in his compositions pulls great emotion out of these disparate experiences and satori. Across a Field as Vast as One is an album of great beauty that avoids the trap of complexity to focus on the emotional. Indeed he says that his track “Sweethearts” “…was a sort of rebellion against the dense and complex harmonic and melodic homework of my masters studies at the Manhattan School of Music. … I just wanted two simple chords and a nice melody!” The track jumps with a lovely West African lilt and Andrea Keller’s piano solo reflects that joy in its rising attack. Sweethearts was the title of Anning’s 2013 album with Julien Wilson and dear departed drummer Allan Browne. Browne is remembered here on the title track which takes it’s title from an Anning poem: “As eyes opening for the first time / On light splattering into a / Flat natural shimmer / Across a field as vast as one / Your name is to be spoken slowly / And carefully… / When I awake I’ll know we shared this dream / And I’ll know that I loved you.” The pain of this ballad of loss and longing is expressed in the pang of Matt Jodrell’s aching trumpet tone. Anning’s compositional smarts are to the fore throughout – the ethereal arpeggios on ‘Lake’ conjuring the deep blue waters of the Mt Gambier blue volcanic lake which inspired it; the chattering talk-like melody and human-hips groove of ‘Talking Wall’, about a graffiti wall in Libya; the bittersweet Balkan blues of album closer ‘Telos’ (with a stunning Julien Wilson bass-clarinet solo that wails, literally and figuratively). Anning says, tellingly, when speaking of his piece here called ‘Hands Reaching’: “(It is) a piece that came out naturally with little intervention from the deprecating voices in my head.” I think anyone who truly creates spends half their time shouting down those deprecating voices – those voices that say the work is worthless, the effort is pointless, the world isn’t listening. Hallelujah! that artists like Sam Anning consistently manage to shut that chattering homunculus up, who manage to replace the void with the life-force of their beautiful and meaningful work. Across a Field as Vast as One is one such work – brave, beautiful and above all, the best of what it is to be human. It has often been said that all composition is improvisation (at some stage) and obversely, that all improvisation is composition (or should be). Nowhere in music is this yin-yang dichotomy more naked – or more essential – than in Jazz. 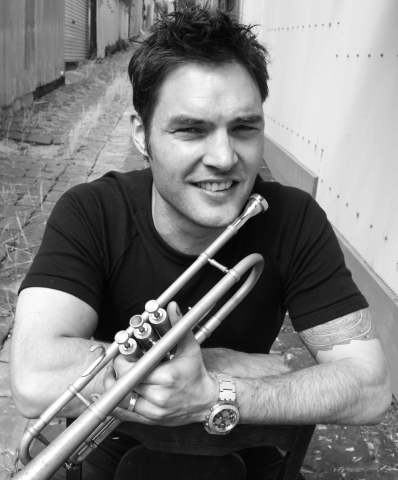 Melbourne trumpeter Paul Williamson’s new album Four Connect blurs that improvisation-composition line particularly deliciously over nine tracks – nine duets with four fabulous pianists: Tony Gould, Paul Grabowsky, Andrea Keller and Marc Hannaford (yes, I know – wow! What a lineup). This is Williamson’s eighth album since 2001’s wonderfully-named Non-Consensual Head Compression and, as well as being an obvious evolutionary step, it is a beautiful thing. The four were chosen by Williamson as musicians he has had an ‘ongoing musical and personal connection with’, so the person-to-person rapport is already there. The musical rapport, though is somethin’ else. The mood of ‘Piece for Peace’ is reflective, meditative – and it is this contemplative vibe that is spread across the whole album. Even when things get rhythmic – like the pecked syncopations with Marc Hannaford which open ‘Buzzby’ or the vapid curtains of 4’s from Grabowsky later in ‘Good Morning Melancholy’ – it all has a flowing rubato feeling to it: untethered to rhythm just as the pieces are untethered to melody or untethered to harmony. Not free –untethered, or at most loosely tethered, as we are to a lover. The lover – or, cooler, the good deep friend – metaphor fits here as well, in the sound of that precious intimacy, across all tracks, of two voices conversing. ‘Flow’ with intense young pianist Andrea Keller just wraps around itself and then around the intertwined trumpet and piano lines in a winding arc that seems to create its own language as it goes. ‘Flow’ is a unique piece among nine unique pieces. All nine are entirely self-contained sound-worlds – remarkable considering that all are made with only unadorned trumpet and piano. No, not unadorned – they are adorned with the impeccable chops, taste and musicality of these musicians. Paul Williamson alone seems to have a limitless library of ideas, effects and colours at his fingertips (literally) and on the tip of his tongue (literally). His instrument’s breathy burrs, sprays of notes, bends, whimpers and wounded howls add an almost visual dimension to the material – whether Miles-limpid or Hubbard-harsh. There is never an effect for effect’s sake because it is all done with technique-beyond-technique (a phrase I am wearing thin through overuse in these reviews, but one which I keep coming back to as a quality that will save Jazz – and all of us – from the hollow ‘sounding brass’ of virtuosity). To hear what I mean, listen quietly and deep deeply to the last two pieces on Four Connect – ‘Helix’ and ‘Time Munched’ – both played with that Zen master, Paul Grabowsky, both telepathically conjoined trumpet-to-piano, both almost meteorologically free yet both as logical as nature; Mandelbrot sets of curlicues and fern-clefs form before your very ears. Improvisation as composition. Or is it composition as improvisation? Or is is just words after all – black and white reviewers’ ‘music’, dull as a ledger, waiting to be saved by people like Paul Williamson. Listen to Four Connect and let yourself be saved by Williamson and his four wonderful pianists.